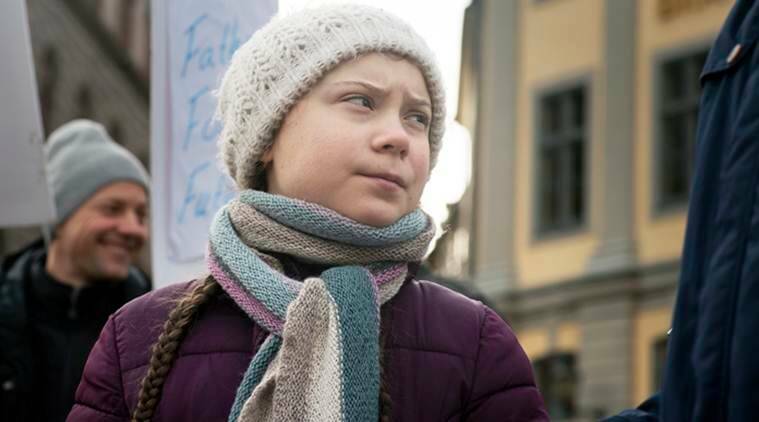 Small, shy, survivor of crippling depression, Greta Thunberg, is a 16-year-old Swedish girl skipping school to shame the world into addressing climate change. Six Swiss students had traveled 26 hours by train to seek her support for their petition for a tougher Swiss carbon emissions law. An Italian scientist told her she reminded him of his younger, activist self. A television news crew hovered around her. Women from an anti-smoking group came to give her a T-shirt. 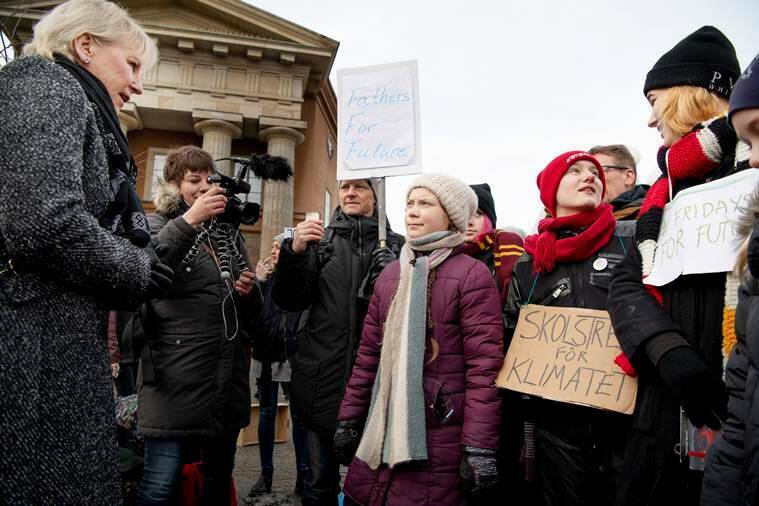 Like a modern-day Cassandra for the age of climate change, her solitary act of civil disobedience — this was the 25th Friday that she skipped school to protest at Parliament — has turned her into something of a global commodity. 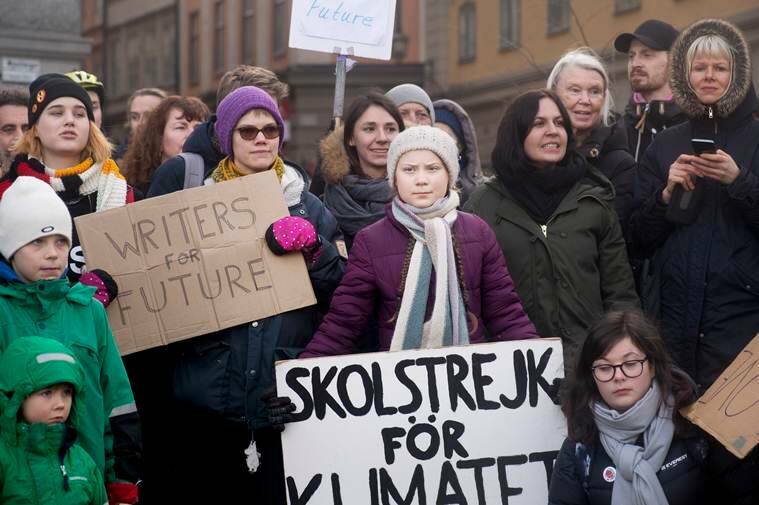 It has inspired huge children’s demonstrations elsewhere, prompted a debate about whether children should skip classes for climate action, and invited trolls, haters and skeptics who wonder who profits from Greta. At midday, as the sky turned gray, her father, Svante, brought lunch. Chickpeas and rice, which she ate, standing, alone in the crowd, in minute forkfuls, like a bird, before receiving a gaggle of third-graders in snowsuits. By the end of the afternoon, a full seven hours standing outside in the cold, she was very tired. All she wanted to do, she said, was to go home and lie on the couch with her dogs. Adolescence brought social pressures. She wasn’t into the things that many other kids were into. Mobile phones. Clothes. None of it interested her, her father recalled. “I think she was very isolated and very lonely,” Svante Thunberg said. It was a cold, silver Saturday morning, the day after her weekly school strike. Svante Thunberg had brought her to see the horse her family keeps and shares with other children in a stable outside the city. Greta brushed the animal, an Icelandic horse named Freyja. “Like a massage,” she said. She cleaned the gunk from its hooves. “Mostly poop,” she said. She tried to keep her black lab, Roxy, from gobbling the stuff off the snow. “Hopeless,” she grumbled. Her most important victory came when, in 2016, she persuaded her mother to stop flying, which was a big deal because Ernman is an opera singer well-known in Sweden whose career depends on traveling widely. Soon came a flurry of attention to the no-fly decision and, eventually, a book that Ernman and Svante Thunberg wrote about how their child had changed them. On Friday, Aug. 20, around the time her parents’ book came out, she sat in front of the Swedish Parliament. Word quickly spread. Soon came an invitation to the U.N. climate conference and another to the World Economic Forum, in Davos, Switzerland, where she told a roomful of business leaders that their financial success had “come with an unthinkable price tag” for the planet. Her former teacher, von Berens, marveled at her transformation. She also wondered what would happen next, when the attention fades. “I don’t think this will be forever,” she said. As for Greta, this is her last semester of ninth grade. She is weighing whether to take a year off to pursue her activism full time. Asked if she would go to New York in September for the UN climate summit if invited, Greta said she would not fly. But, she could sail there on a ship. And she’s learned that going on a container ship would have the smallest carbon footprint.